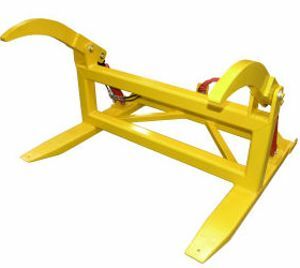 The GA Forklift Grab Attachment is a slip on attachment meaning that it slides straight onto your existing fork lift tynes. 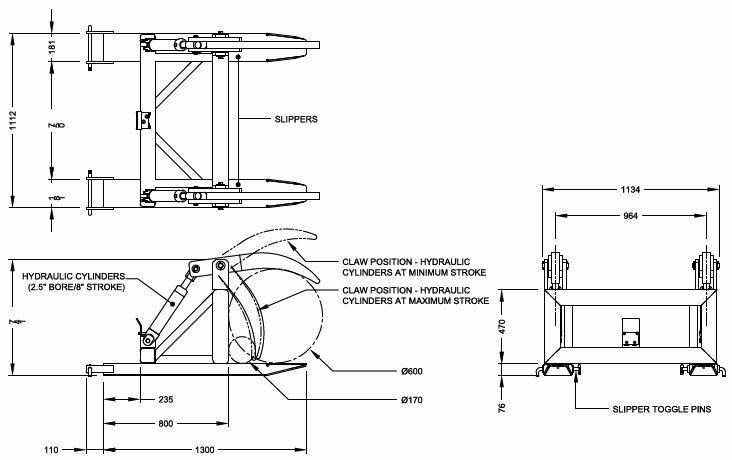 It is designed to grab and securely transport poles or pipes ranging in size from 170mm right through to 1200mm diameter. 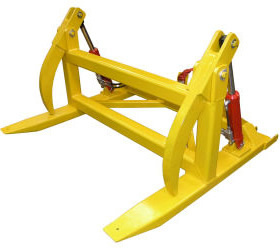 The hydraulic grab requires one additional hydraulic power take off on your forklift but comes supplied with connection hoses with quick connect couplings. Painted finish in safety yellow enamel pain.